Anywhere I look in the garden I see buds on stems and branches. New shoots sprout up from soft cold ground. Some leaves start to unfurl and early flowering plants and trees are blossoming. A new colorful season has started, a new life cycle. Spring is always a busy time of year for me. I have started to do a little clean up. The soil is warm and still moist enough to start feeding the trees and roses and mulching should keep it from freezing if the temperature drops for a night or two. Cleaning, feeding, pruning, transplanting and sowing new annuals will take much of my time in early spring. Then comes a time to sit back and enjoy it all in late spring and summer. 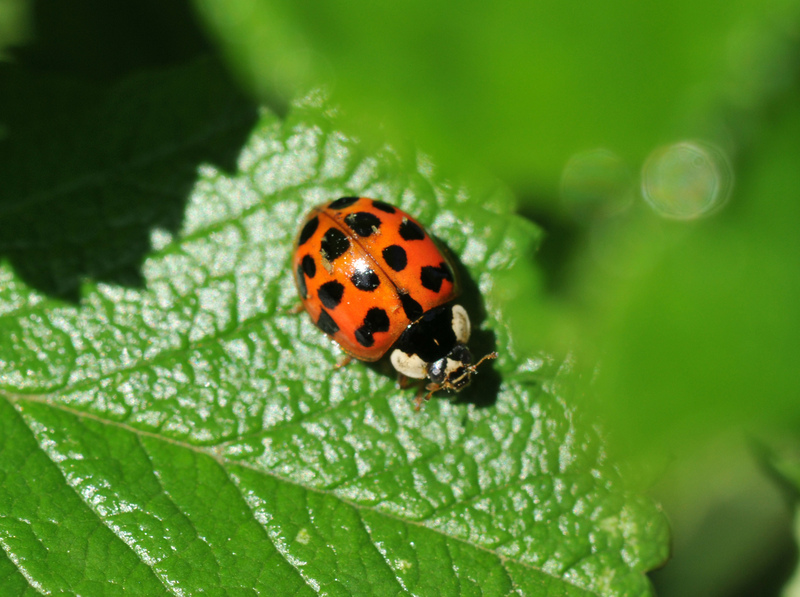 While I was doing the clean up, I found a few Lady beetles (Harmonia axyridis) hiding in the base of plants so I put back the dry leaves and left them alone. 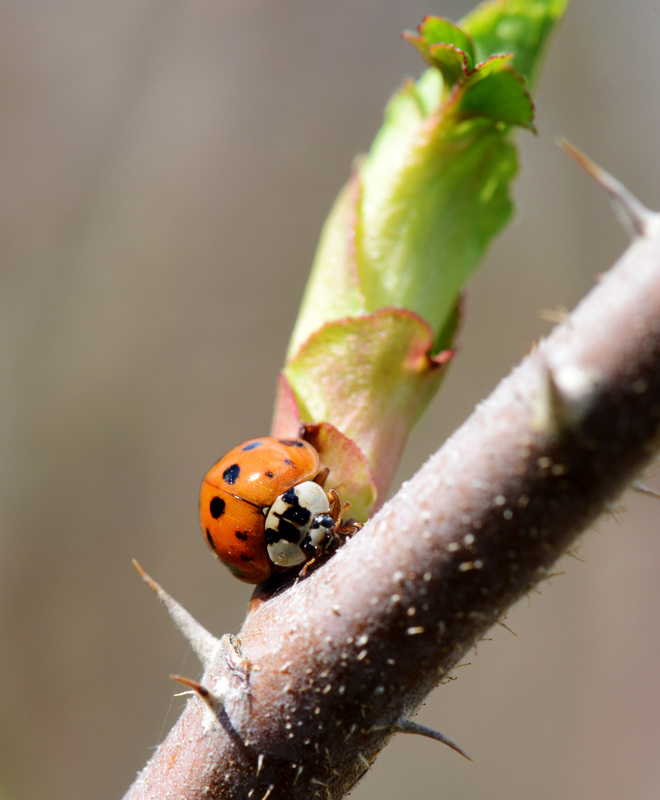 A couple of them were out on the half unfurled rose leaves, helping me clean up small pests that I couldn’t see. Their population seems to increase every year which I don’t mind at all. A friend who gardens asked me if she should buy a ladybug package for her garden. I told her ‘no’. 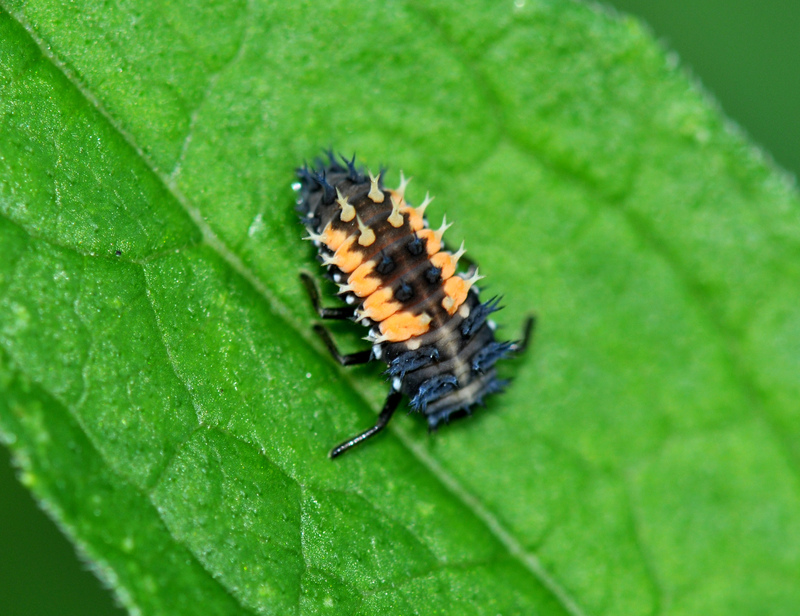 There is no point since no one can keep beneficial insects locked up in their garden. I told her to improve her garden condition, forego pesticides and chemical fertilizer. Once there is plenty of food and shelter, they will come to stay. 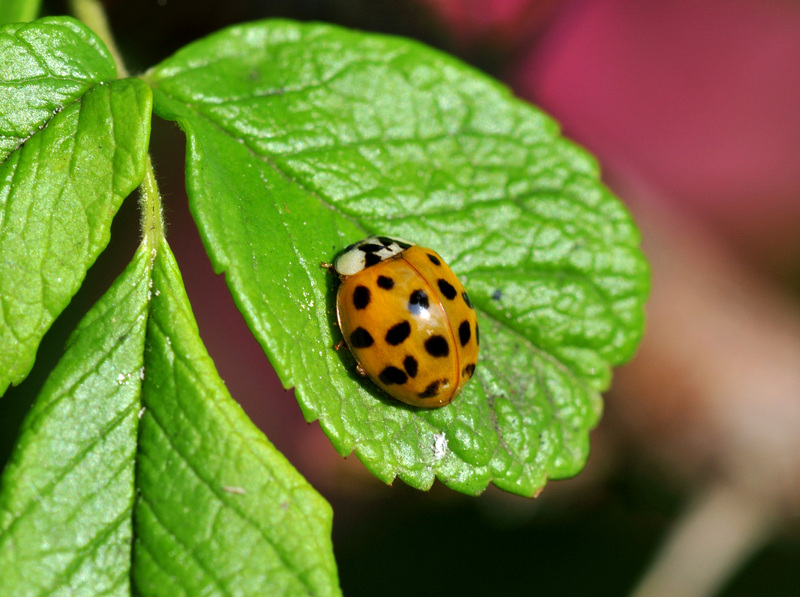 Below are variety of Lady beetle from last year. This one hardly has any spots. Another orange with a hint of red. 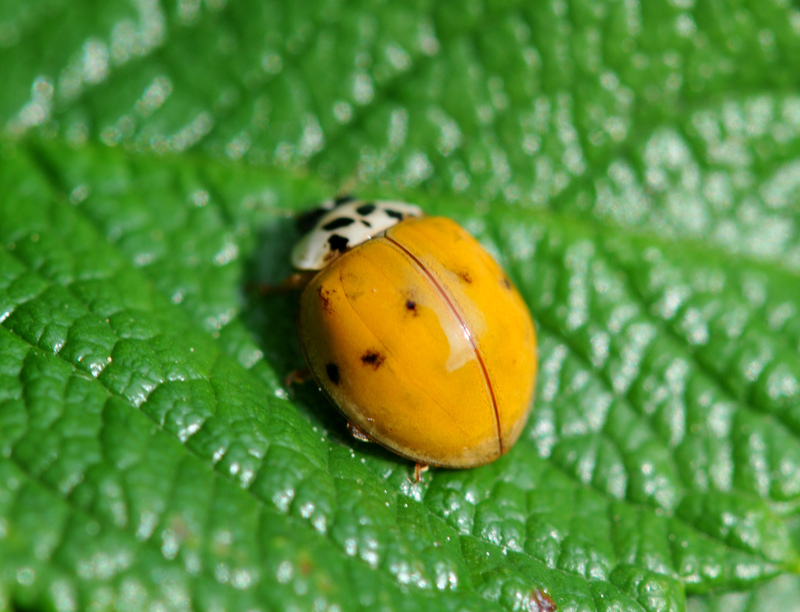 Before they become these cute looking beetles, they are in shape and form below. 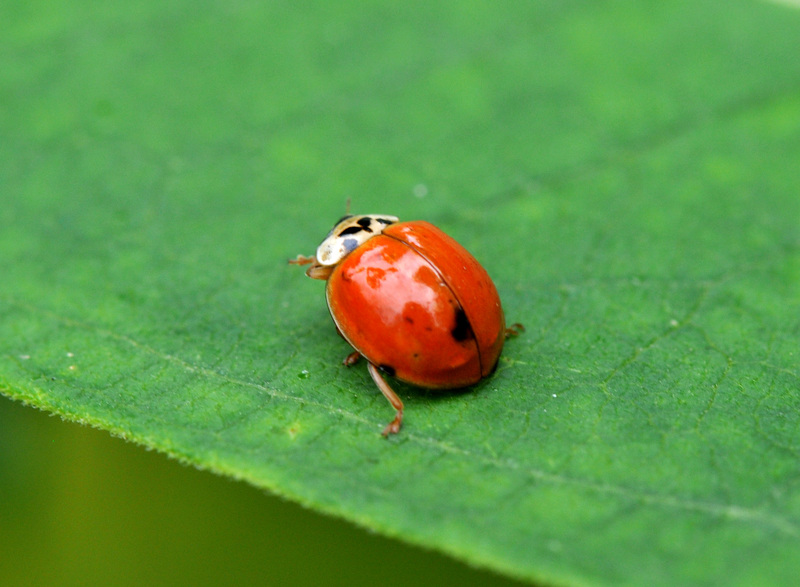 If you see them crawling on leaves, don’t kill them. 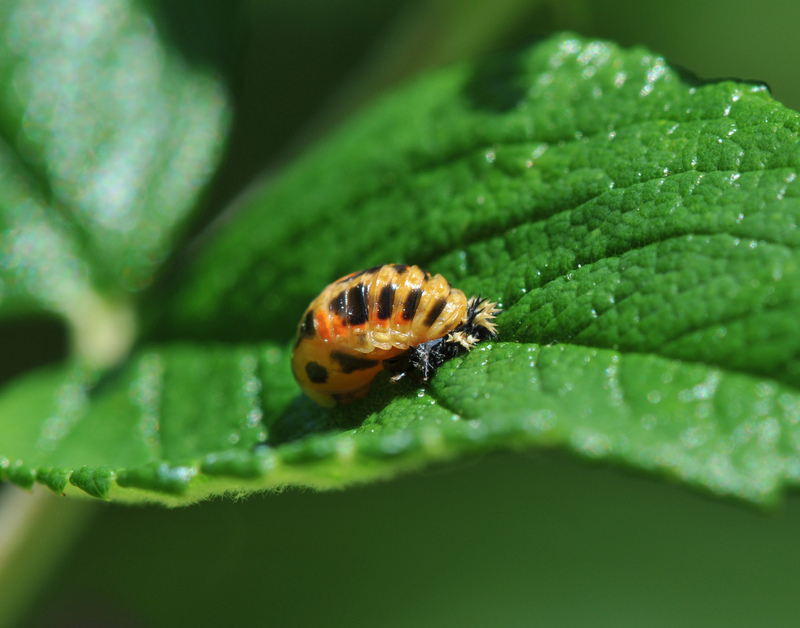 Both lady beetle adults and larvae will help you get rid of aphids. Ok, the larvae are not cute but they make up for looks in doing a great job. After enough eating garden pests, they pupate. I’m glad they are in our garden one generation after another. Thank you for helping me keep the pests in check.